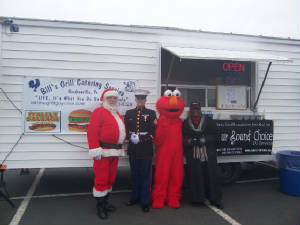 Bill's Grill Catering Service is proud to volunteer our services to the community and great causes. 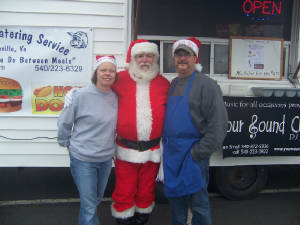 Every December we donate our proffits that we make at the "Toys for Tots" campaing. Mathias Varga is a Marine serving to protect our country and he is instramental in this yearly event. Thank you Mathias for your service. Operation Barbeque was a huge success. 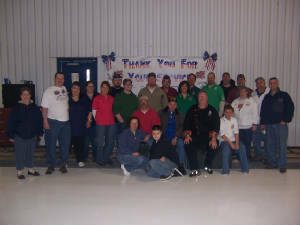 With the help of my BBQ buddies and the Zion Crossroads Volunteer Fire Department we stormed Oceana Navel base and fed 350 Marines and their families. 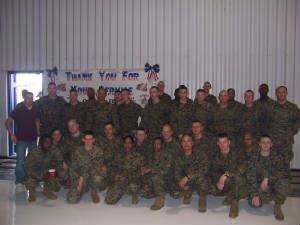 These brave solders had just returned home from Iraq. Thanks for your service to our country.